The most traveled and visible street in Key West is only the beginning, the surface, of what the town has to offer. Ask locals about their favorite spots or stroll through quiet neighborhoods and down alleyways off Duval, and you’ll begin to dive deeper into the quieter, more diverse and less readily apparent offerings. Here are eight spots you might not see at first glance. Mellow Café and Gastro Pub, 1605 Roosevelt Blvd. 305-745-3874; www.mellowventureskeywesst.com. Near the water in Old Town Key West, the café is open for breakfast, lunch and dinner and offers unique island fare with a mellow atmosphere to match. The menu items are crafted with fresh, locally sourced ingredients and include a fresh catch, Havana roasted pork, romaine leaf plates and caramelized banana chocolate tacos. Drink options include a large selection of craft beers, 11 rotating tap beers, wine, housemade sangria and champagne cocktails. There’s a great happy hour from 5-7 p.m. daily, and delivery is available. Firefly, 223 Petronia St. 305-849- 0104; www.fireflykeywest.com. Being that Key West is home to the southernmost point of the continental United States, it’s fitting that the island is also home to a Southern-inspired restaurant. Firefly’s plantation-style look and its menu give it the most down-home feel of any culinary experience on the island. The shrimp and grits, fried chicken and bacon-wrapped meatloaf are a few fan favorites. Key West Island Bookstore, 513 Fleming St. 305-294-2904; www.Keywestislandbooks. com. This decades-old boutique bookstore offers a surprisingly varied wealth of current and used titles, from bestsellers to rare titles. Often open late, it’s an inviting place to browse the crowded stacks. La Rubia Fine Hats, 510 Fleming St. 305-296-6059; www.larubiakeywest.com. This is the Florida Keys’ only importer of authentic Panama hats. The owners developed the boutique to carry on the centuries-old tradition of hand weaving hats (which come from Ecuador, not Panama, by the way). Styles for men and women come in a wide array of colors and weaves. There’s also a nice selection of wearable fair trade crafts such as jewelry, ikat wraps and shigra bags. Little Pearl, 632 Olivia St. 305-204-4762; www.littlepearlkeywest.com. 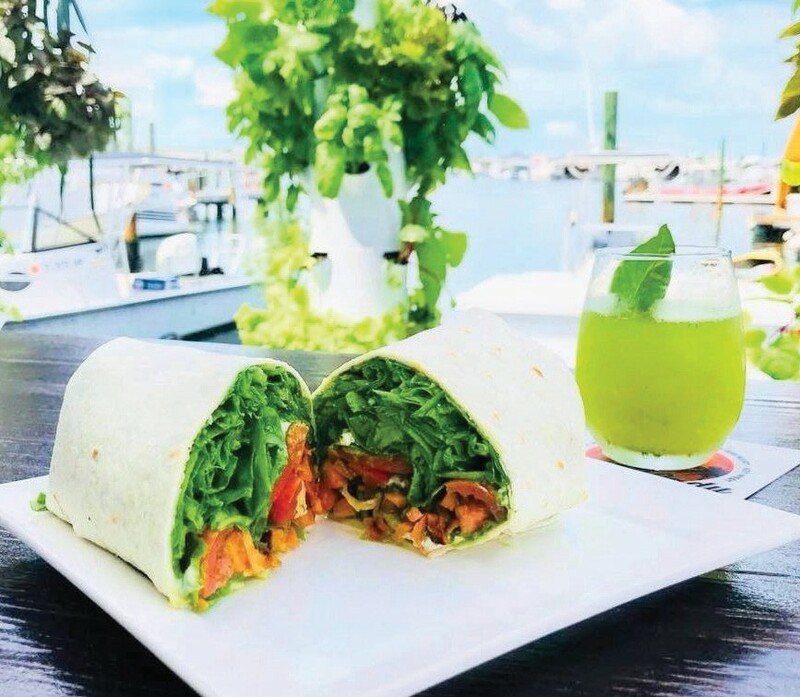 Nestled in the heart of Old Town Key West and away from the bustling downtown streets, this is an excellent spot for fresh local catch and innovative cuisine with a tropical twist. It’s new, and it’s hot. Reservations are required.